King of Rock and Roll Elvis Presley was loved for much more than just his soulful, pitch-perfect voice. He was also quite a ham for the camera. Elvis made 31 movies, according to the Elvis History Blog, ranging in style and theme from the musical comedy, GI Blues, to the 1960s spoof, Easy Come, East Go. He also appeared on television quite a few times in the 1950s, including the famous Ed Sullivan Show, according to Elvis Australia. No one could hold a candle to Elvis' stage presence. A winning smile, mad moves, and a candor attitude, Elvis Presley was indeed, the King. 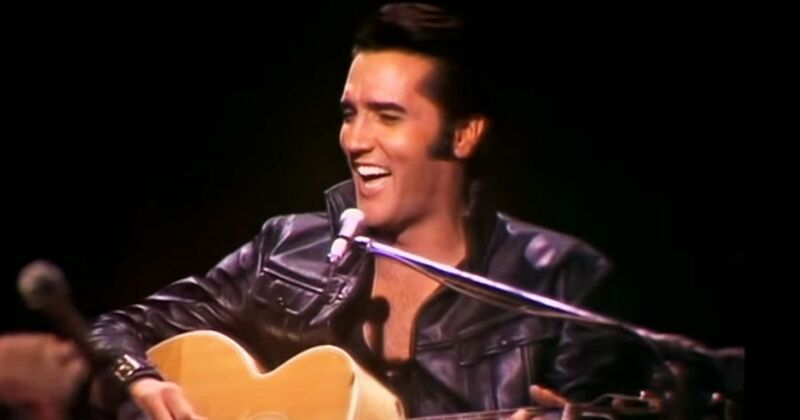 One way to catch a glimpse of his endearing personality, is to watch this 9 minute 30 second video of outtakes from the legendary 1968 NBC TV Special, "ELVIS." The video was posted by TimothySideBurns, whose Youtube channel features scenes from Elvis moves and other related videos. According to Music Direct, the NBC TV Special was recorded in front of a live studio audience as a Christmas special. The crowd's resounding cheers could be heard in the studio and for years to come. Popularly known as "The Comeback," the 1968 performance launched another phase of Elvis' career, causing his music to soar in the charts once more. The next few years were filled with concerts and shows in theaters, casinos, and stadiums. The TV Special was the precursor to a masterwork album which included rare television studio performances, such as those seen in the video posted by TimothySideBurns. Popular songs on the album included the smash single, "If I Can Dream," as well as the hits, "Guitar Man," "Blue Christmas," and "Heartbreak Hotel." Elvis hits the stage in uniform – could he ooze ANY more charisma or charm? !